Future 500 Reviews: Dare to Compare. Join us, summer 2018. 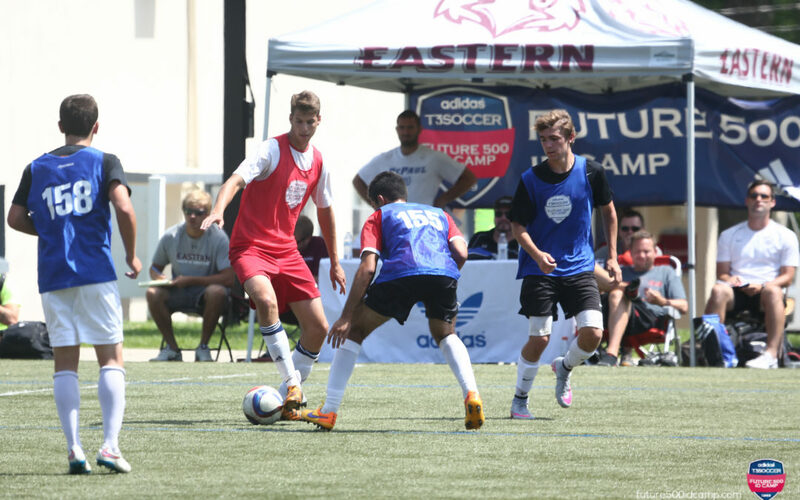 Future 500 Reviews: How does it compare to other to college id soccer camps? There are a LOT of soccer ID camps out there, so it is important to do your research and compare them head-to-head. Future 500 reviews surveys from campers, parents, and coaches after camp in an effort to provide the best possible service each summer. We invite you to compare Future 500 ID Camp to any camp in the US that claims to offer 50 or more colleges at one camp. In fact, we urge you to take a thorough look at Future 500 ID Camp and compare it to any soccer ID camps in the US. Why are we asking you to do this? Because we are what we say we are — the industry leader in large-scale College ID Soccer Camps! And because when you dig deeper with other college soccer ID camps – what is promised isn’t always what you get. Future 500 reviews its college list weekly to ensure accuracy and transparency. Our website clearly lists both the college and the college coach who will be attending and only for the actual week they are working. Go to competitor websites: How many colleges do they advertise that will attend their camp? If they say 50 colleges, do they actually have 50 on their site? If they say 75 colleges, do they actually have 75 on their site? If they send emails with specific college logos, are those colleges actually attending camp this summer or are the logos outdated? Hint – Do they list the actual college coaches that are coming so you can contact those college coaches ahead of time? How long will those coaches be there? 1 day? 2 days? All camp? Future 500 ID Camp uses a complex coaching matrix to guarantee maximum exposure. Coaches have a schedule that they must follow while at camp so that players can be seen by every coach at camp. Why can’t we 100% guarantee that every player will be seen? Because sometimes life happens: family emergencies, illness, etc., may require a coach to leave camp early. These situations are rare, but we don’t want to make a promise we can’t keep. Hint – If a soccer ID camp says it has a 100% guarantee – buyer beware; how exactly does that work? Read more HERE. Future 500 ID Camps offers On-Demand and Live Stream Programs to every camper that registers, free of charge. Although players must pay to receive video footage and highlight reels from camp, all college coaches will have access to the On-Demand match footage from camp. Feel free to contact any college coach after camp (even if they did not attend Future 500) and let them know that they can email Future 500 to see the game footage from camp. Note: Live Stream is only available for 11v11 matches at Philadelphia Camps. Do other soccer ID camps leverage technology to expand your recruiting reach for free? Do they make video available to every college coach after the camp? Do professionals videographers shoot the video? Is it HD quality? Future 500 prides itself in educating players about the college soccer recruiting process. Our acclaimed Parent Education Seminar gives parents the opportunity to learn more about the college recruiting process before camp begins. CLICK HERE to watch the Parent Education Seminar from a few years ago. Read More about all of our Educational Seminars. Many soccer ID camps claim to offer educational seminars. But who does them well? Do they give insights from college soccer coaches, college soccer players, and respected wellness professionals, or is their education more about “hype”? Contact Us to Compare More! We could continue with more comparison points – but we won’t. Instead, we will make one final suggestion. Don’t just visit websites. Call us – and call them! And ask as many probing questions as you would like. If you’re still curious, check out our Parent Testimonial page for more Future 500 reviews. Contact us at linda@future500idcamp.com or by 610-325-7883 Monday – Saturday 9 A.M. – 9 P.M. EDT or email us the best time to call you and we will call you promptly at that time!